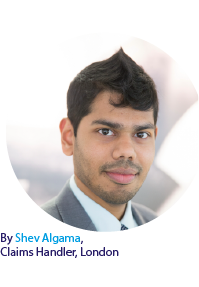 The Shipowners’ Club > LCC > Shev Algama: LMAA Terms 2017 – What’s changed? On 7 February 2017, the London Maritime Arbitrators Association (LMAA) published its revised terms the LMAA Terms 2017. These apply to all appointments made on or after 1 May 2017 and replace the LMAA Terms 2012. Whilst the LMAA remains the most commonly used arbitration forum by our Members, several criticisms including costs and speed of awards have seen competitors, such as the Singapore International Arbitration Centre (SIAC) and the London Court of International Arbitration (LCIA), gain popularity. Through updating their terms in 2017 the LMAA has made a conscious effort to analyse these criticisms and attempt to rectify it without any radical overhaul. One of the criticisms directed at LMAA arbitration is the length of time taken to obtain a resolution of the dispute. In its infancy, arbitration was a swifter method of resolving disputes when compared to traditional litigation. However, as arbitration developed and gained popularity, the process has lengthened and awards have taken longer to be published. The LMAA has sought to address this criticism through the LMAA Terms 2017. On occasion, one party to a dispute will use delaying tactics to better their position in LMAA arbitration. For example, when one party fails to appoint their own arbitrator. Whilst the previous terms were ambiguous as to what happens in such a situation, the 2017 terms expressly permit one party’s arbitrator to act as the sole arbitrator, where the other party fails to appoint one (see paragraph 10 of the terms). An alternative delaying tactic commonly used is the failure of one party to appoint lawyers, as this can stall the progression of the arbitration. Paragraph 20 of the Second Schedule to the 2017 terms seeks to prevent this by confirming that the arbitration process can only be delayed in exceptional circumstances. It states that the failure to arrange legal representation by one party does not constitute a valid ground for delaying the progress of an arbitration, nor a valid ground for the adjournment of a hearing. A further addition in paragraph 16(b)(i) states that the Tribunal may now abbreviate the time limit for service of submissions, which will hasten straightforward submissions. Additionally, paragraph 5 of the Second Schedule states that any submission, aside from replying to a claim or a counterclaim, requires the Tribunal’s permission, combating lengthy exchanges. Finally, the Tribunal is given the power to make procedural directions, if the parties fail to agree on the same, within the 21 days which follow the exchange of LMAA questionnaires (see paragraph 11 of the Second Schedule). It is hoped this will prevent procrastination and ensure that the arbitration process does not stagnate. An attractive feature of arbitration was that it had been considered more cost effective than High court litigation. However, today it is not unusual for a complex arbitration to cost as much. The LMAA has sought to address some of the cost issues through the 2017 terms. The biggest change brought by the 2017 terms is recognising sealed offers. A sealed offer is the arbitration equivalent of a settlement offer made under Part 36 of the Civil Procedure Rules. Such offers will now be taken into account when an award is made. For example, in a claim for US$ 7 million, the respondent could make a sealed offer of US$ 5 million. If the applicant rejects this and pursues the claim, but is only awarded US$ 4 million by the arbitration Tribunal, the settlement offer will be considered when the Tribunal considers the costs award to be made. This encourages parties to make serious settlement offers and take settlement offers seriously, as failure to do so could result in being penalised during a costs assessment. In addition, the 2017 terms give the tribunal the right to take account of either party’s unreasonable behaviour when making a cost assessment (see paragraph 19(b) of the Second Schedule). This provides the parties with a cost incentive to maintain reasonable behaviour throughout the dispute resolution. A Tribunal now has the ability to seek security for its own costs whenever it considers it appropriate to do so (see paragraph E(1) of the First Schedule). The form of security is at the Tribunal’s discretion. The Tribunal can also decide which party should provide the security, making it fairer than the previous stance where the party requesting the hearing had to provide it. Whilst the LMAA Terms have not been dramatically overhauled in the 2017 revision, it is clear the LMAA has taken steps to remedy the shortfalls of the previous terms. Despite concerns remaining surrounding the transparency of arbitrator’s costs, it is positive to note that the LMAA has analysed some of the criticisms of the previous terms and has attempted to address them.